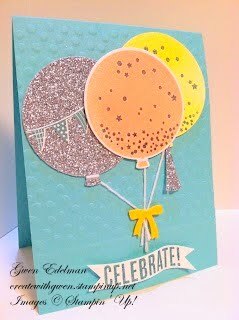 Create with Gwen: "CELEBRATE" Card! So many birthdays coming up! It's a new year and time to create cards for those special people in your life! Making this card was just plain fun! 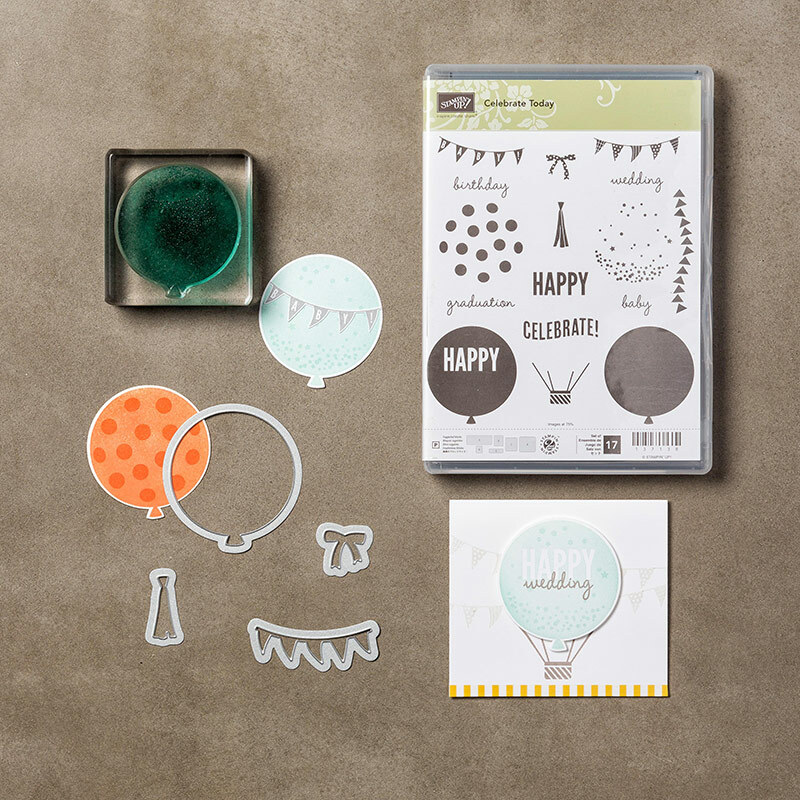 With the new "Celebrate Today" Photopolymer Stamp Set and Balloon Framelits Dies Bundle #138869 ($36.25) it's easy to show your talents and your feelings for them, while saving 15% to boot! Fun, bright, and cheery! Start with a 4 1/4" x 11" piece of card stock, scored and folded at 5 1/2. Ran Coastal Cabana card stock through the Big Shot using the Decorative Dots folder first, and then made a score line under the embossed area using the Simply Scored tool, before applying the balloons and sentiment. Dimensionals give the middle balloon it's pop!